Teacher Workshops - Special Needs Inclusion — RocketChair Productions - "Because Inclusion Can't Wait"
We're committed to helping you create the most inclusive learning environments! Below are workshops that we offer for educators, school administrators, after-school programs, hospitals/clinics and parents. Click on any workshop, fill out the form and we'll be in touch within 48 hours! Do you want to be a better teacher, better parent, or better clinician? Ready to move from enabling the children in your life to EMPOWERING them? In this workshop we'll uncover 4 common mistakes we all make in our efforts to empower our children and students with special needs, and how we can correct them. Erin Aguilar is an educator, Inclusion Specialist for a nationally recognized organization and a founding member of Arizona's Inclusion Task Force. 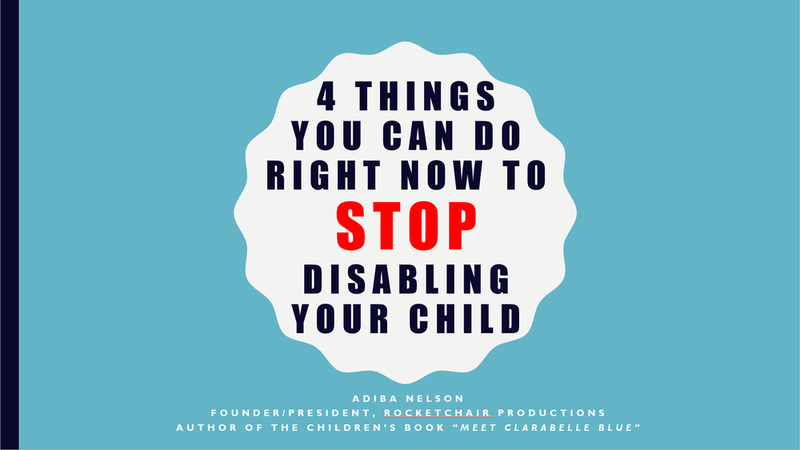 Adiba Nelson has the personal experience of being a parent to child with an IEP in the public school system, and the professional experience of being a social worker/advocate for children and families for eleven years. Together they bring you 2 unique, and rarely offered *together* perspectives - parent and educator, side by side. As parents and educators, how do we ensure that as full and rich a childhood as possible is experienced by our kiddos with special needs, while still respecting their various diagnoses? We start by first remembering our own childhood, and making the conscious decision to honor theirs. P.S. Check out our inclusion page to read about the awesome benefits of having an inclusive classroom.